It's that time again - time to look back at the previous month, including what I've been up to, the books I managed to finish and the posts (and videos) I've shared. January started off low key (both at work and at home), but it definitely picked up in terms of activities by the end of the month! It was a solid start to a brand new year, and I'm looking forward to finding out what next month is going to bring! I was ill for the first week/end of January with a stomach bug followed by the flu, which was... not pleasant. But I got well with the help of some excellent nursing from my husband and my sisters! I got to see a couple of films - Jumanji, The Greatest Showman, Mary and the Witch's Flower and Pitch Perfect 3 (of which Jumanji is my favorite!) - and also kept up with watching my shows (Bleach, Boruto: Naruto Next Generations, as well as starting Yuri on Ice, Cardcaptor Sakura: Clear Card and The Good Place). I spent a lot of this month hanging out with my sisters for a variety of food-video game-tv show binge-coffee and dessert-Target dates too! I also went to see Wicked (second time! 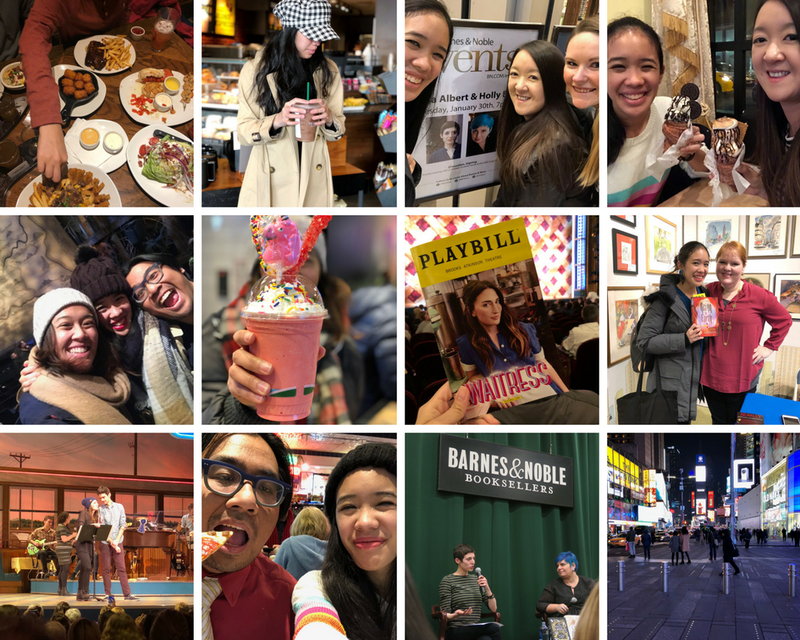 ), Waitress (fourth time, and with Sara Bareilles! ), got to meet Holly Black and Melissa Albert and AC Gaughen at book events. All in all, it's been a really lovely month! 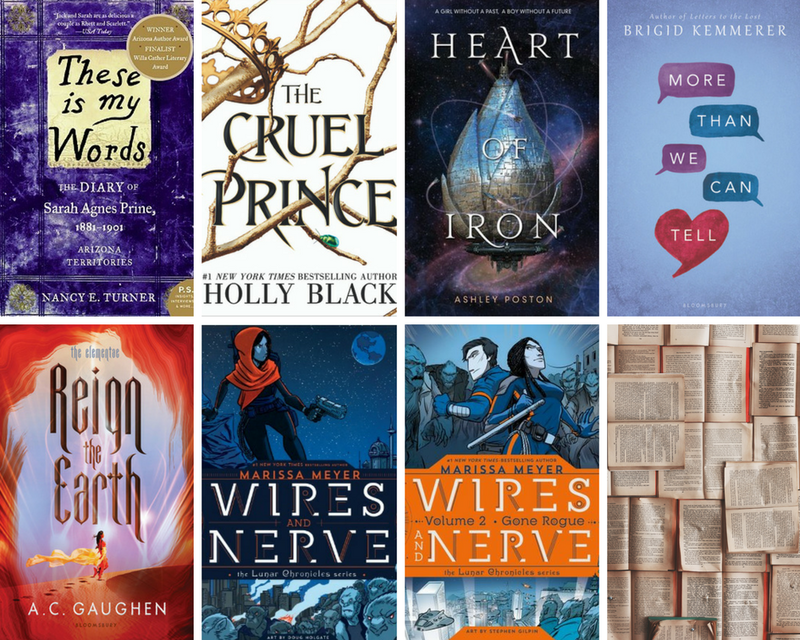 Of the 14 books I managed to read in January, here are my 7 favorites! They include 2 rereads and 5 new-to-me books. If you missed out on any blog posts or YouTube uploads, never fear! I've got you covered with all the links to every single thing that went up during the month of January here and on our channel.